The twin channel LX65R features a 3 band EQ per channel, CD input, headphone socket and a 1x12" Celestion speaker. 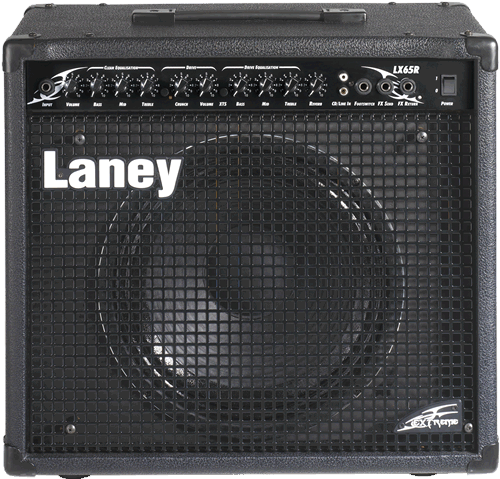 With a 65 watt output stage it will handle live applications, plus connect up another cabinet such as the LX412A for even more power. Also check out the LX65D for the same features plus on board digital effects.